UX Talk: Design Think, Sprint, Do! Share UX Talk: Design Think, Sprint, Do! UPDATE: As with most of our events, we are at FULL CAPACITY! All names have been submitted to security and there is currently no waitlist nor walk-ins allowed. Thank you for understanding and we'll see you at the next event on 11/29 UX Workshop: A New Approach to Prototyping & UI Design. "Design Thinking" and "Design Sprints" are creative strategies commonly used by designers that are such hot UX buzz words these days; yet, these terms are often conflated or misunderstood. Design Thinking is methodology that is a lot more than post-its, and Design Sprints is a process that uses design thinking exercises (...and of course post-its! ), but might not always be applicable. Confused? Don’t be! In short, there are lot of crossovers. Join us as we discuss and explore their exact definitions, the difference between them and how to use them. In addition, we'll talk about the merits and challenges of design sprints, what kind of problems we can solve, and how we can incorporate it to our own workplace. Learn how to sprint before we run...or in this case, build! KRISTEN BARRY is currently a User Experience Designer at Born Group, a global digital agency that connects creative, content & commerce. After attending NYU's ITP graduate program, Kristen knew that she wanted to use her design skills to make the world a better place. UX design allows her to focus her passion for psychology, usability, research, and ideation to find creative solutions to complex problems. By understanding user needs, client goals, and the competitive landscape of each project, she create experiences that are memorable and intuitive. 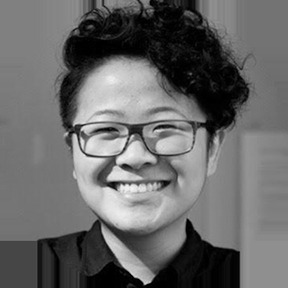 JERLLIN CHENG is currently a designer at Ernst & Young Digital, but has spent time in advertising, higher education, and online learning. In her spare time, she plays and makes (generally pretty average) music and writes words that she hopes makes people feel things. ANDREW SHANLEY is the director of Experience Design at Beyond. His clients include Google, Viacom and Wall Street Journal. 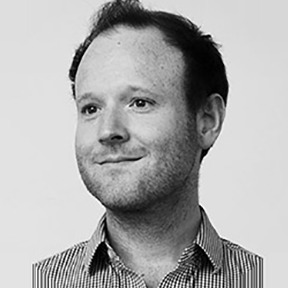 Having previously worked at Razorfish, BSkyB and Ogilvy, Andy has built a career in UX spanning over 10 years and has been one of the key initiators for introducing Design Sprints and Design Thinking into Beyond's day to day. 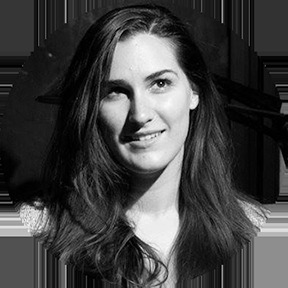 ELIZABETH GORN is a User Experience Designer at Beyond, having worked with clients such as Google, Novartis and Dow Jones. 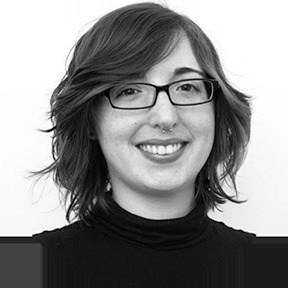 She’s utilized Product Design Thinking and Design Sprints in her work and has found success in doing so. BEYOND is a design and technology ideas company. They help ambitious companies create market value with design- and technology-based products and strategies, and establish the methods and mindsets that move companies forward. PS. BYND is hiring! PREMIER GROUP is a global privately owned recruitment agency, offering high quality recruitment services to the whole of the UK, mainland Europe and the US, with offices in Reading, London, Manchester, Birmingham and New York. They focus on delivering a comprehensive recruitment solution across the Design, Media and Technology sectors, supplying permanent and contract staff with an approach that’s tailor-made to suit you! 2015 Winner of Net Awards Grassroots Event of the Year and in over 50 cities chapters worldwide, Ladies That UX is a friendly, welcoming and collaborative community for women in UX. Ladies That UX NYC aims to foster an inspirational and supportive environment for women in UX to positively promote and learn from each other through informal networking and lively discussions & great events in NYC. We don’t run for profit but seek to make the world of work better for women around the world! Check out our Facebook, Twitter, Instagram and Meetup forum for discounts, deals and other relevant community events. 2015 Winner of Net Awards Grassroots Event of the Year, Ladies That UX is a friendly, welcoming and collaborative community for women in UX in over 50 cities chapters worldwide. Ladies That UX NYC aims to foster an inspirational and supportive environment where ladies in UX can positively promote and learn from each other through informal networking and lively discussions & great events in NYC. We don’t run for profit but seek to make the world of work better for women around the world! Check outour Facebook, Twitter, Instagram and Meetup forum for discounts, deals and other relevant community events.